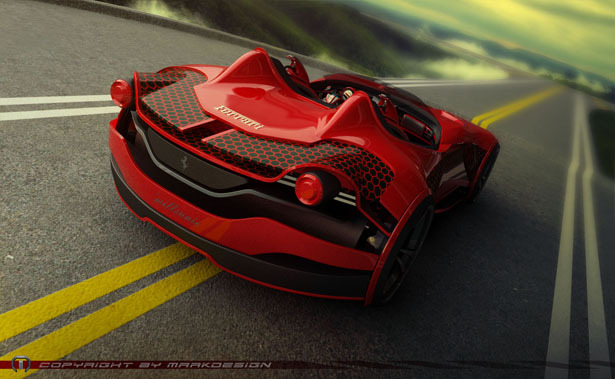 Ferrari Millenio is a design study of a futuristic electric vehicle powered by two stations (engines). 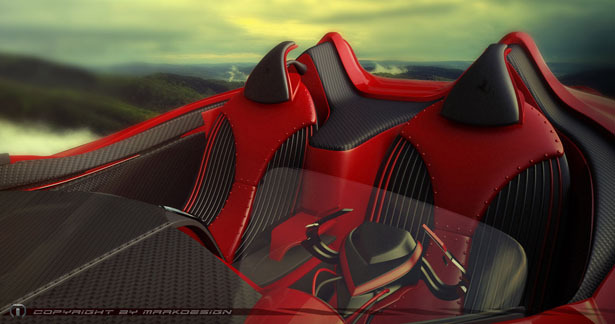 It is a two-seater car, very light, and designed with strong impact from the Ferrari world park in Abu Dhabi. 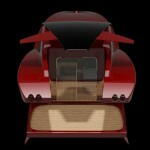 This vehicle has been developed as a structure of several pieces proportionally designed and well combined in one. 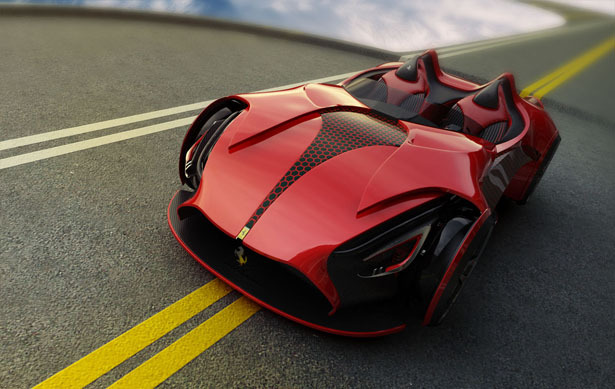 Ferrari Millenio provides an illusion in its way of very complex assembling process, as you can see here, the front lights look like they are floating and not attached. Just like the case of an iPhone, here’s the designer has also designed a silicon layer that can be additionally added as a protection. 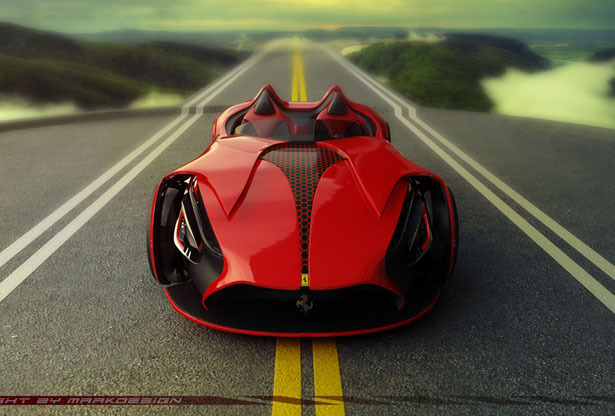 Ferrari = dream = safe dream. Mankind has reached the key point in its evolutionary stage. Facing with all sorts of crisis man mast come up with the strategy of overcoming these next few years and set up a base for years to come. 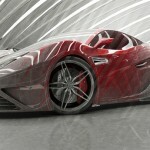 In car industry that means several changes, starting from technological to aesthetic (new design language). 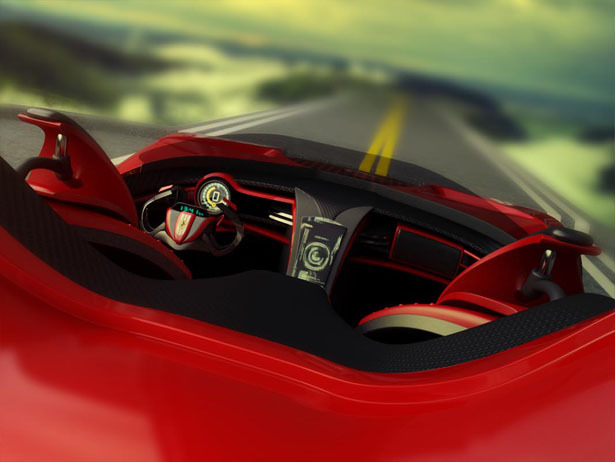 In technological sense, man is going ahead and already there are many signs of a new automotive era – hybrid, electric cars. Even though the era of electric cars started many years ago, just now in these periods it’s starting to receive greater meaning in automotive world. So the direction that automotive industry should follow is similar to architecture one, more different shapes, optical illusions (with materials and colors). The main idea is that the future will not be as everybody think – simplicity in its rough meaning, but on the contrary complexity in a balanced well designed proportions, similar to human body, but mechanical. 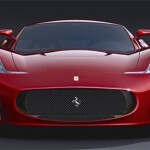 Ferrari as one of the most prestigious car brand is also on great test. 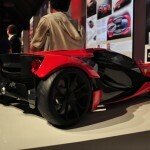 They need to maintain their philosophy of making the best and fastest cars in the world. But will the speed be so dominant in the future? 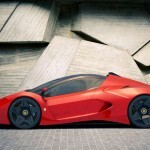 More and more these new generation are not familiar with the pleasure of driving manually car such as Ferrari. They enjoy more in a sense of owning a unique piece of art, ‘a symbol’. 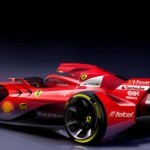 So what can Ferrari give them in a distance future? From more horse power to more battery power – imagine the battery that you don’t need to charge, there for there is no need for electric stations. The owner of a future Ferrari will stay as unique as it is now. 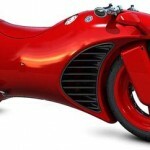 Special mechanisms (like the bicycle dynamo but more advanced) combined with alternative energy sources (such as solar panels, devices using radio waves in recharging….). As for body material there is a revolutionary solution for future vehicles, it is called Backypaper, material composed of carbon nanotubes that is 10 times lighter and over 500 times stronger than steel. 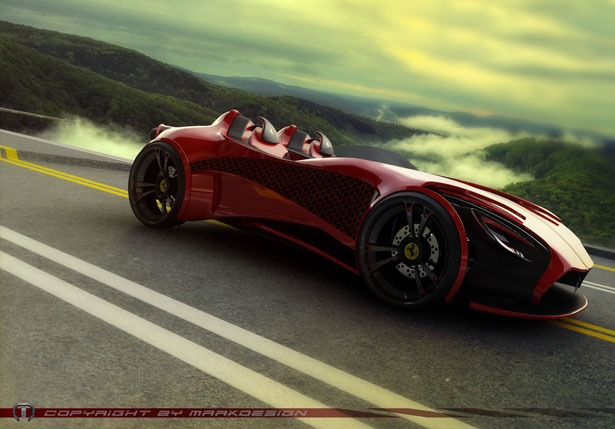 Tuvie has received “Ferrari Millenio” concept from our ‘Submit A Design‘ feature, where we welcome our readers to submit their design/concept for publication. 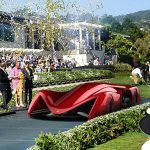 Tagged as Architecture, car, Designer, dream, ferrari world, high tech gadgets, hybrid electric cars, silicon layer, technological sense, way. 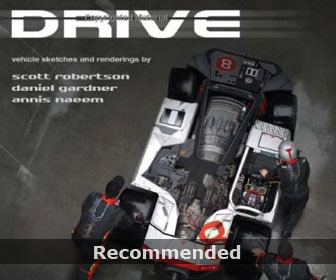 Id drive this Big time, neat. Need larger trunk space for stuff. Paint it flat black and you've got the perfect next Batmobile. I realise that there is an increasing need for an alternate energy source, however I don't see electricity as becoming this substitute, at least not for Ferrari and other car makes in that market e.g Lamborghini etc. You discuss what a car will become for the generations of the future, a somewhat 'symbol' as such, well I believe that there is no better statement made by a car of this status than that of the exhaust note and this element will no longer be a factor with electric engines/stations and further more although I like the design, I personally believe more R&D should be done into alternate fuels to continue the existence of the engine because once that element there will be no longer any such thing as 'car culture' and literally diminishing the labels 'petrol heads' or 'rev heads'. 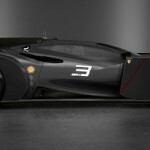 I understand that there is an expanding requirement for an other vitality source, anyway I don’t consider power to be turning into this substitute, at any rate not for Ferrari and other auto makes in that market e.g Lamborghini and so forth. You examine what an auto will move toward becoming for the ages without bounds, a to some degree ‘image’ accordingly, well I trust that there is no better articulation made by an auto of this status than that of the fumes note and this component will never again be a factor with electric motors/stations and further more in spite of the fact that I like the outline, I for one trust more R&D ought to be done into exchange energizes to proceed with the presence of the motor in light of the fact that once that component there will be not any more any such thing as ‘auto culture’ and actually lessening the names ‘oil heads’ or ‘rev heads’.